St Peter’s Faith Formators’ annual Advent Pilgrimage to Mt Hosanna (100 miles from Kuching). This year we prepare for the coming of our Lord in a different way, we bring alone FFC 3 Youths, with parents and friends. 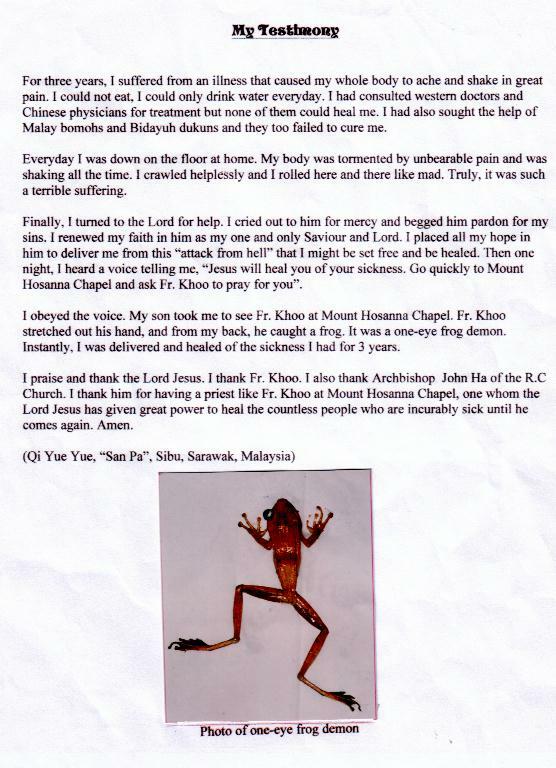 Fr Richard Khoo’s Healing Mass is well attended, good to stay back to witness some healing sessions…read a testimony here. Visit the album of Colin Wei for some pictures of Mount Hosanna. The time of mass has since opening changed from 11.30am to 11.00am to10.30am and now it is 10.00am. Don’t arrive late, you still need to scale the 100-steps Jacob’s Ladder to reach the Chapel.